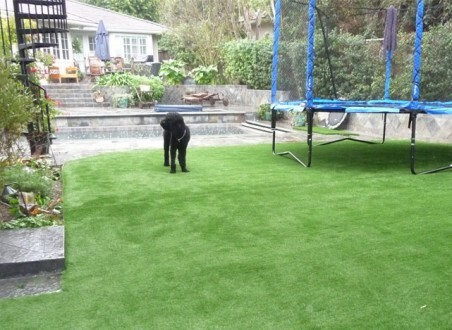 Keep your lawn looking freshly cut, despite lovable pets, with PolyTurf artificial grass. 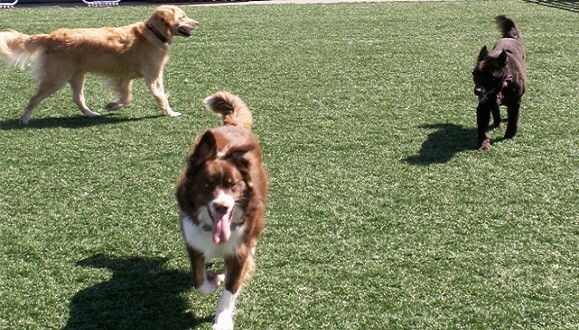 Provide the look and feel of a natural grass, minus the wear and tear associated with pet waste and traffic. 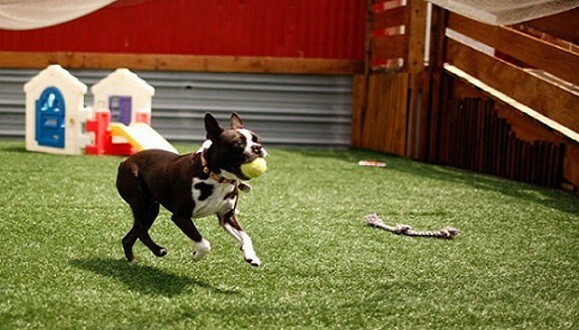 As always, our synthetic turf products are lead-free, non-toxic, and safe. Plus, our grasses do not house fleas or ticks and that’s healthy for everyone. 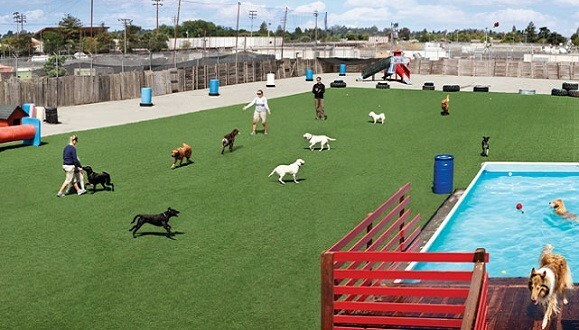 PolyTurf's rapid draining artificial turf eliminates the buildup of odor causing bacteria. Cleaning is quick and effective with PolyTurf Refresh, a natural enzymatic turf cleaner and odor neutralizer. PolyTurf also offers Zeolite, an odor neutralizing mineral infill to keep odor causing bacteria at bay. 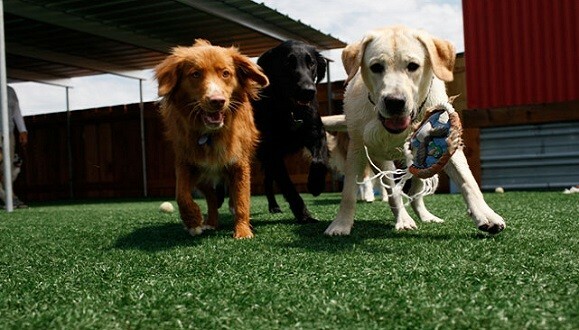 For additional drainage to keep your synthetic turf for pets fresh, we offer a full surface drainage solution that makes it easy to rinse and flush pet urine out of the system. Visit the PolyDrain page for more information on this drainage option that will keep your synthetic turf fresh and clean for years to come.